Earlier this year I wrote an essay for The Recipes Project about the forerunners to today’s hummus, based on a group of recipes in a fourteenth-century Egyptian cookbook – recently brilliantly edited and translated by Nawal Nasrallah. As I worked on that essay, I tried my hand at a handful of those recipes and at long last, I am presenting my adaptations of those recipes here! Below is an adaptation of a medieval Cairene recipe for himmas kassa, or a cold mashed chickpea dip. I’ll follow up with a few other recipes in this genre, plus some thoughts on what makes hummus hummus, and why historicizing hummus matters, in another post coming soon. But for now, read on for a recipe that will change up your hummus routine – without jettisoning or ignoring its long documented history. I hope these recipes will offer a welcome corrective to today’s many cringeworthy hummus adaptations involving ingredients like (shudder) avocados or chocolate. It should be said: this is much more of an adaptation than a recreation of what the medieval dish would have been like. It’s hard to know precisely what it would have tasted like, in part because the recipe – written in aide-memoire style that assumed a fair amount of know-how on the part of the cook – lists ingredients but nothing about measures or proportions. 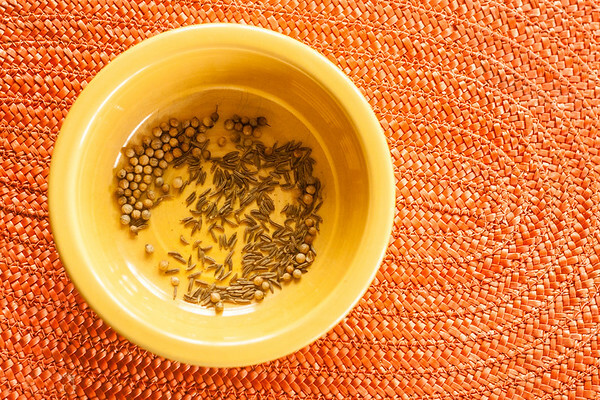 But the spicing and the use of vinegar represent significant departures from what our palates are used to today, thanks to centuries of historical shifts in tastes. The proportions below attempt to introduce those flavors, but subtly, for a recipe that introduces something decidedly different, but in a way that can be shared and enjoyed. Among the steps I took to adapt this for a modern kitchen and contemporary tastes: I used a food processor rather than mash everything manually; I added the step of taking off the skins of the chickpeas, I minimized the vinegar and maximized the lemon flavor, and I made no attempt to find a substitute for rue (by all accounts an intense bitter herb that I have not been quite brave enough to experiment with yet, at least not when it comes to my hummus-making). I also substituted a Moroccan spice blend, ras al-hanut, for the spice blend named (but not detailed in terms of components) in the recipe. The result, I like to think, is a recipe that will remind you of the hummus you’re used to while giving you a taste of what it might have been to experience it in a food stall in the streets of fourteenth-century Cairo. 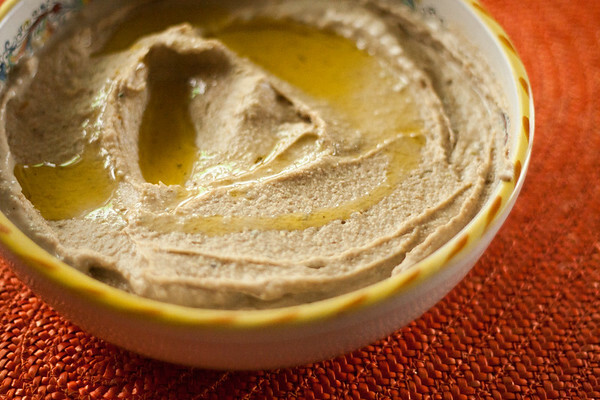 (This recipe, for example, will be more familiar to today’s palate than other medieval hummus recipes I’ve tried.) 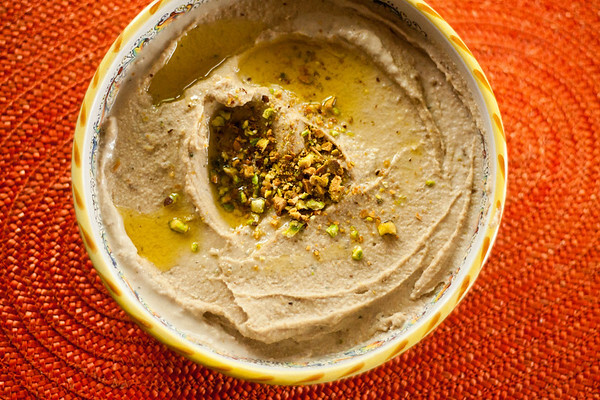 Walnuts and pistachios give the hummus an added richness; caraway and dried coriander lend it a more complex flavor profile; a little fresh mint cuts through it all for a subtle but refreshing finish. And those pistachios – well, they’re just gorgeous, aren’t they? 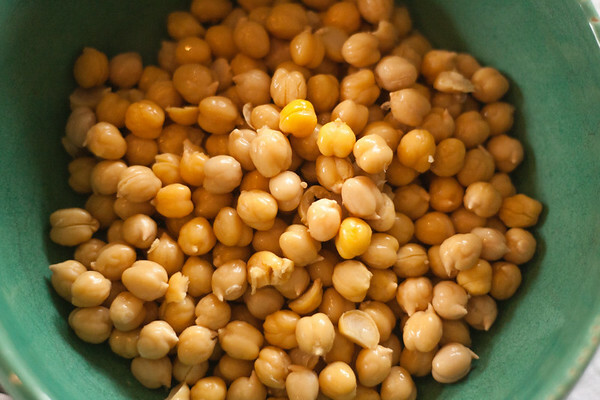 Remove the skins from the chickpeas (this is absolutely worth it, for smoother hummus, and doesn’t take as much time as you think!) and set aside. 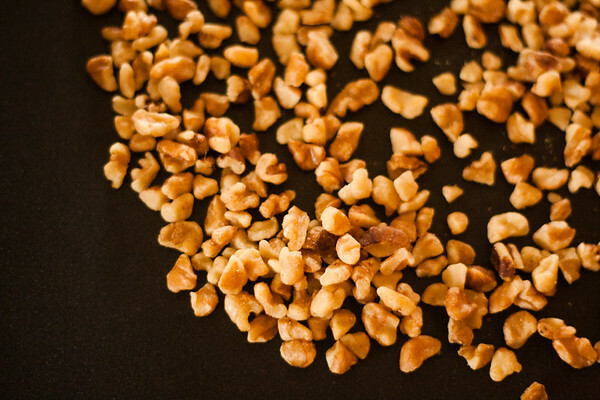 Lightly toast the walnuts in a pan over low heat till you can just begin to smell them. Place them in a food processor and blend well. Toast the caraway and coriander as well, very lightly. Add the chickpeas, tahini, ras al-hanut, caraway, coriander, mint, wine vinegar, lemon, and lemon brine to the food processor (which already has walnuts blended in it). Add a glob of olive oil and blend until smooth. As needed, add water, more olive oil, and salt until you reach the desired consistency and taste. As another recipe in the cookbook describes, liquids should be added just so that you can “scoop it up with a piece of bread” (p.315). 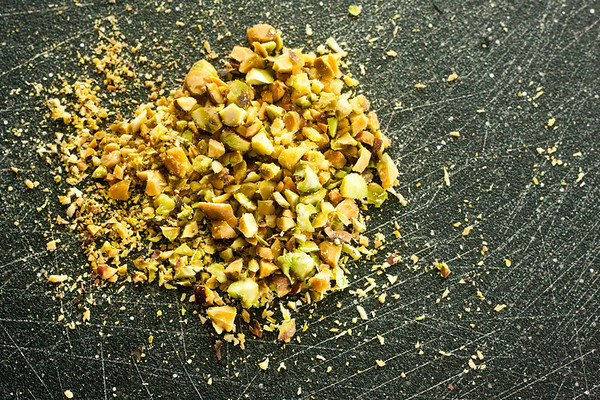 Toast the shelled pistachios and chop them finely. 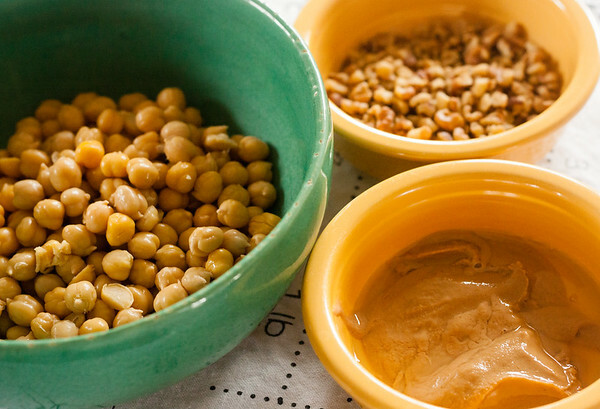 Use them, and a drizzle of olive oil, to garnish the hummus.